Steel Away, our main full band includes multiples of each voice. 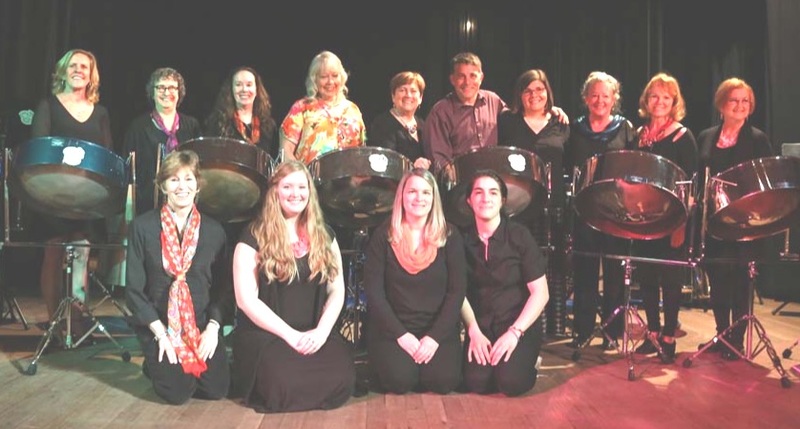 This all female group was formed in 2007 as a class learning to play steel drums. The group is currently made up of 10-12 women ranging in age from 20-70. They have performed at various events throughout WV and PA including Ellie Mannette's Festival of Steel, music festivals, fund raisers, and community concerts. This band plays a variety of musical styles including traditional Island, classic and pop rock, Latin, jazz, and classical music.